For almost 20 years, my goal has been clear: reduce suffering and elevate the discourse around Adult ADHD. More specifically, what are my qualifications? Excellent question. Beyond that, you’ll find that my work defies easy categorizations. That makes me a marketer’s nightmare. But, as a veteran journalist and ADHD advocate, my focus has been on service. I synthesize information from well-vetted sources into comprehensible language and strategies. Bottom line: I bring you a complex set of skills and approaches. My work is driven by a passionate devotion to help people understand—and thrive in the presence of—this complex condition called ADHD. Yes, I do not have an advanced degree in psychology or psychiatry—or anything else. It took 17 years of study for me to call myself an Adult ADHD Expert—and only after top experts such as Russell Barkley, PhD, endorsed my work and recognized me as such. Routledge Press, a prestigious publisher of professional guides, asked me to produce the first evidence-based guide for therapists treating ADHD-challenged couples (Adult ADHD-Focused Couple Therapy, with Arthur Robin, PhD, Routledge, January 2016, ). Calling out charlatans and smooth talkers. That includes MDs, PhDs, therapists, and coaches who proclaim ADHD expertise but truly lack it. When I started this work, many cross-disciplinary connections were unheard of. That includes the potential connections between ADHD and central processing disorder, sleep apnea, sexual difficulties, reading comprehension, parenting challenges, and more. Still, I respect my limits. Rather than speculate, I will point readers to solid sources of information or professional care. I find “tribal” mindsets more divisive than helpful. That’s why I call ADHD Extreme Human Syndrome. There is no gene yet identified that is associated with ADHD but not distributed throughout the human genome. In other words, traits such as procrastination, stimulation-chasing, creativity….these are human traits. They are not limited to people with ADHD. What makes the diagnosis then? The severity and level of impairment. 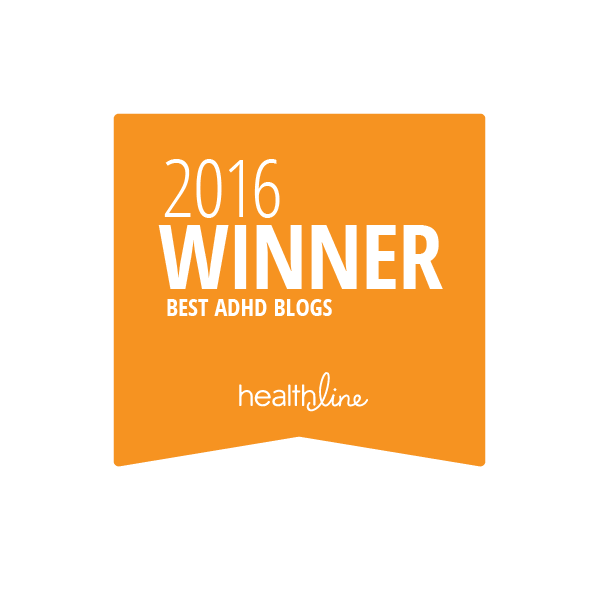 Make no mistake: I intimately understand the challenges faced by my many friends with ADHD. But I also understand that they are first and foremost individuals. They share only certain aspects of a highly variable condition. For years, I have led a popular Adult ADHD discussion group in Silicon Valley—free and open to the public. We have a core group of regulars, but new folks constantly turn up. Each month, 25-40 adults with ADHD, age 18 to 85, discuss a range of topics. No one sitting in that room month after month harbors the illusion that people with ADHD are clones or fit some “type.” They clearly see that’s not the case. The folks who gather there share overlaps of ADHD-related challenges. But they very much carry their own unique strengths and weaknesses, talents and abilities. The same is true for my friends who are the partners of adults with ADHD. They are individuals. And, guess what? Some of them have ADHD, too! 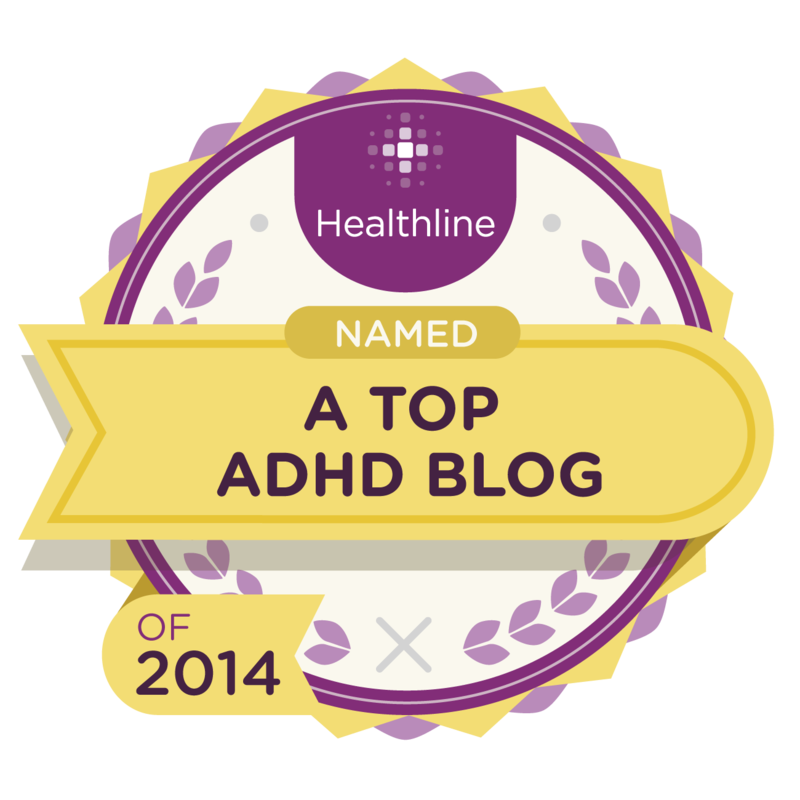 Yes, my husband has ADHD, diagnosed at age 37. Thanks to me and not his ex-girlfriend, the neurosurgeon, nor his peers or professors while earning his PhD in molecular biology. Yes, I have for more than a decade led free support groups for the partners of adults with ADHD. 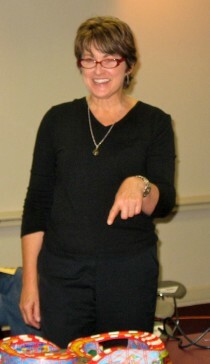 The private online group has 1,000 members. Yes, Russell Barkley, PhD, asked me to write the first-ever chapter on couple therapy in his “gold standard” clinical guide. 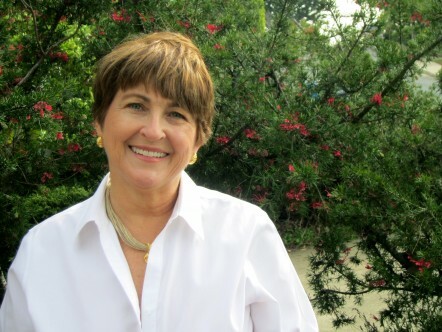 Yes, my first book was the first to clearly document and educate about the effect of poorly managed ADHD on the partners, to explain the potential dysfunctional patterns in these relationships, and to explain healing strategies. More than anything, however, my approach has been to explain ADHD itself, including its effect on the partners, and ADHD treatment and cooperative strategies. 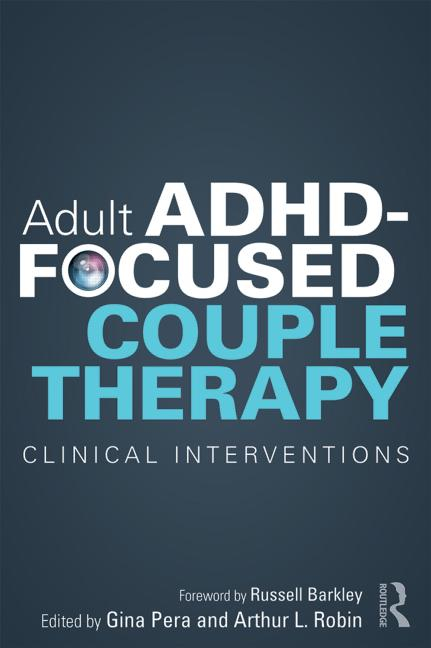 With my colleague, psychologist Arthur L. Robin, PhD, I have now produced the first clinical guide for therapists treating ADHD-challenged couples. In it, we present an evidence-based model for this type of couple therapy. But do I consider myself a marriage or relationships expert? No, I leave that to the professionals. 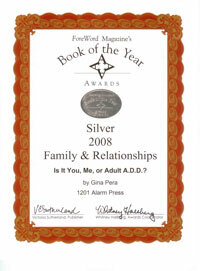 But I work to help the professionals understand the “ADHD piece” and know how to help couples with ADHD-related issues. Tip: Many ADHD-challenged couples don’t need “couple therapy” at all. They need help in cooperatively organizing their schedules or their household and in breaking their dysfunctional patterns developed during the time ADHD was unrecognized or not understood. Each couple has their own needs. There is only one reason I would showcase an expert, book, video, or product with you: Because I deem that person or product credible and useful. Period. 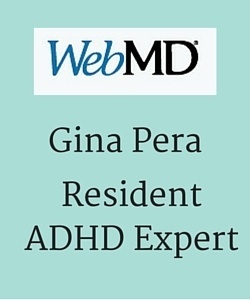 An Accidental Adult ADHD Expert? My foray into the field of ADHD began by chance. In 1999, I picked up a library book about the brain. And what I read changed my life, my husband’s life, and eventually many other lives. Funny enough, that book was Dr. Daniel Amen’s Change Your Brain, Change Your Life. In that book, I read about something called Adult ADHD. Suddenly, I had a clue why, as much as we loved each other, my then-fiancee and I were driving each other nuts! I showed the book to him, a molecular biologist who fortunately could vouch for the authenticity of the information on ADHD. “Doesn’t this sound like you as a kid?” I asked him. “And, well, doesn’t it sound like you now?” He agreed. As I would later write in my book, I was “reacting to the inexplicable” by trying to “manage the unmanageable”—and getting more frustrated by the day. So, off we went to navigate our mutual mental-healthcare maze. I quickly learned that if we left this up to the psychiatrist, we’d keep twisting in the wind. The prescribing process was lackadaisical at best, reckless at worst. And this was at a well-known ADHD clinic. Could other “partners of” be in the same boat? Perhaps their physicians also poorly understood the pervasive effects of ADHD on their partners—not to mention the often drastic side effects of inappropriately prescribed medication. To find out, I started an online discussion group. (That group is about 1,000 members strong now, with membership throughout the English-speaking world.) 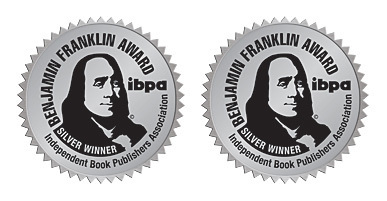 Many of the first-person stories in my first book come from that group. These were people whose stories I had long followed—not random anonymous people responding to an online survey. It’s not enough to say that I was stunned at the widespread ignorance about ADHD, including among medical and mental-health professionals. Frankly, I was outraged. Story after story left me heartsick at what was passing for ADHD care in the U.S., not to mention beyond. There is quite enough suffering in the world that cannot be prevented. The suffering that comes from unrecognized ADHD is not one of them. We have a strong knowledge base about ADHD. We have excellent treatment strategies. All we lack is more people willing to step into the 21st Century and apply what we know. Deciding to put to use my background as a print journalist, I became a persevering advocate for better awareness and evidence-based treatment standards. I do support anyone’s right to take medication without stigma. I know many ethical, brilliant, and compassionate ADHD researchers who have received grants and other support from the pharmaceutical industry, and that is just fine. Personally, however, I have never sought or received funding from pharmaceutical companies. After a few years, I grew tired of repeating the same information. Moreover, people were too stressed to absorb it verbally. It became clear that folks needed a nuts-and-bolts guide to Adult ADHD, especially as it affects relationships. A guide that also addressed the “emotional baggage” that comes with late-diagnosis—baggage carried by both partners in the relationship. That big deal breaker: how to get through a loved one’s “denial” (another topic not covered in any existing consumer book on ADHD before mine). At my Bay Area talks, I often bring an antique toy roller coasters Because learning about ADHD can be fun, too. That’s why I wrote Is It You, Me, or Adult A.D.D? 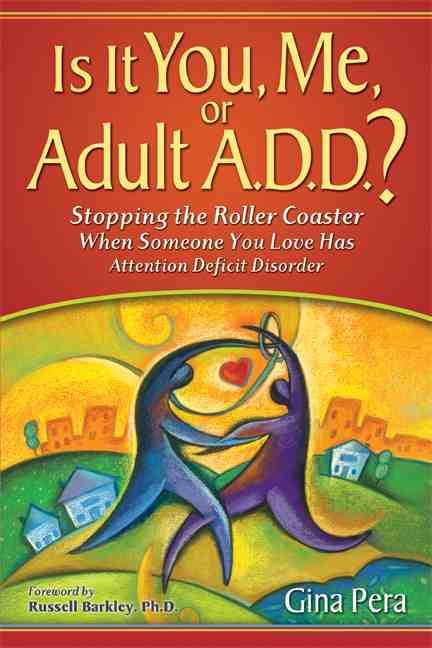 Stopping the Roller Coaster When Someone You Love Has Attention Deficit Disorder (2008, 1201 Alarm Press, San Francisco). 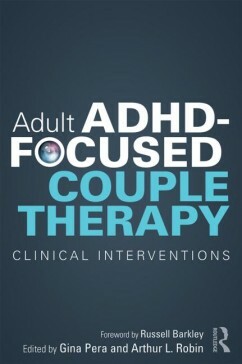 Adult ADHD-Focused Couple Therapy: Clinical Interventions (Routledge, 2016). Arthur L. Robin, PhD, and I produced this book, and we each wrote several chapters. Contributors include Russell J. Ramsay, PhD., Barbara Easterlin, PhD, Carol Ann Robbins, PhD, and Kevin Roberts, MA. We hope it will revolutionize the state of ADHD couple therapy internationally. Leading experts in the fields of couple therapy and Adult ADHD have praised the book. While I was working on this book, preeminent ADHD expert Russell Barkley, PhD, asked me to produce the first-ever chapter on couple therapy for his “gold standard” clinical guide: Attention-Deficit Hyperactivity Disorder: A Handbook for Diagnosis and Treatment (Guilford; 2014). 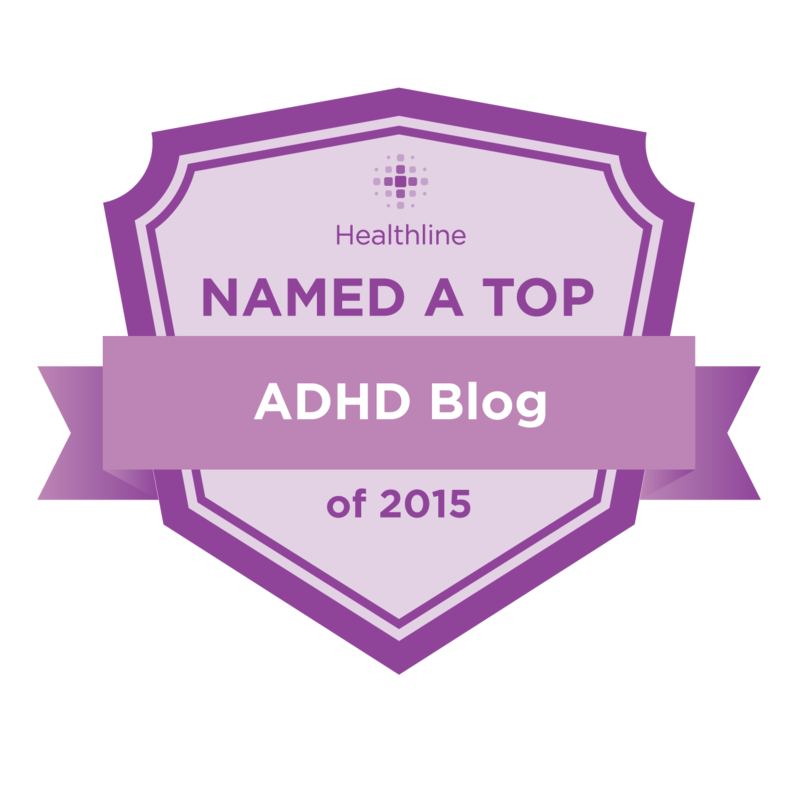 I am honored to be among a standout roster of ADHD expert contributors. To be notified as these courses come online, please sign up for the mailing list at ADHD Success Training. We are offering CE hours for professionals (NBCC, with APA pending application). Despite the criticisms scattered on the Internet, ADHD is not an “American invention.” I have met knowledgeable clinicians the world over. 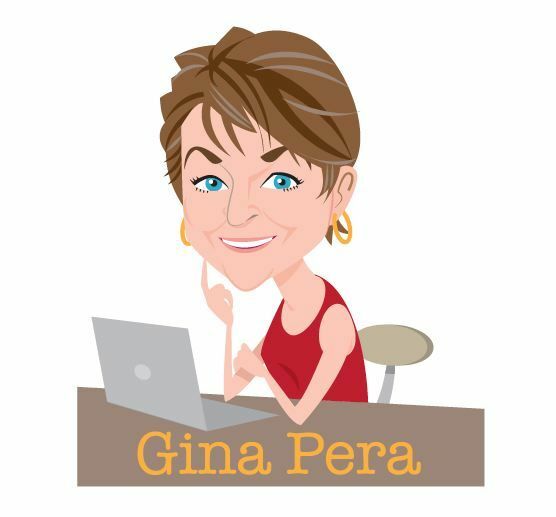 My goal is connecting the many readers who have written to me asking for referrals with ADHD professionals worldwide. Hence The International ADHD Professionals Directory. 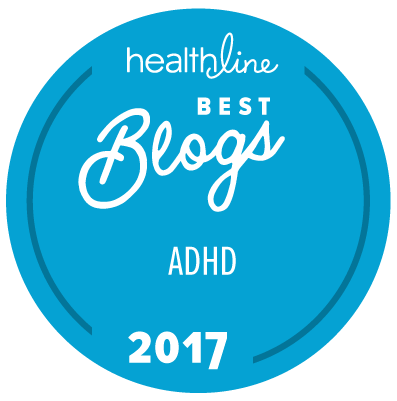 This blog contains a variety of information: book excerpts, guest essays, and updates on ADHD research and news in the popular press. Always feel free to share in a comment your personal experiences and support. Your story could very well change someone’s life. 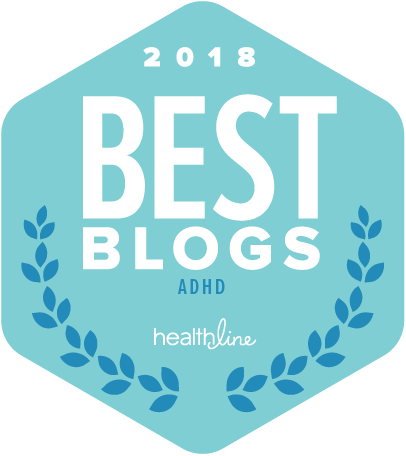 Thank you for your interest in Adult ADHD, and please try to keep an open mind if you are just beginning to learn about this incredibly complex condition. One fact is clear: ADHD is real, and it affects real people’s lives. Maybe even your own or that of someone you love.